We wanted to let you know about a few simple changes to the system. We have added new functionality to the manage user screen and updated all user manuals with revisions. 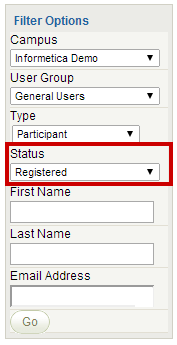 A new status filter is now available on the Manager User screens accessible by Campus Admins and Campus/Organization Managers from the Manage tab. 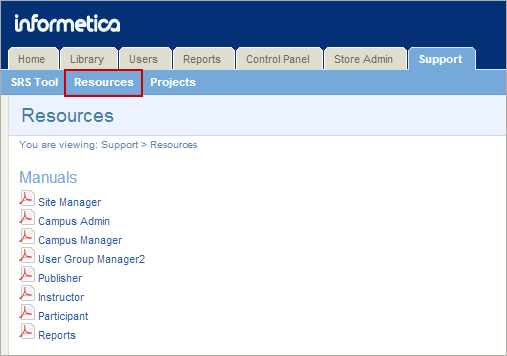 All Informetica user manuals have been revised and added to your Support > Resources page. Clients who use the desktop help link to give their users access to the manuals will also see the revised manuals. There is a new Quick Start Guide available on the Support > Resources page called Certification Updates.